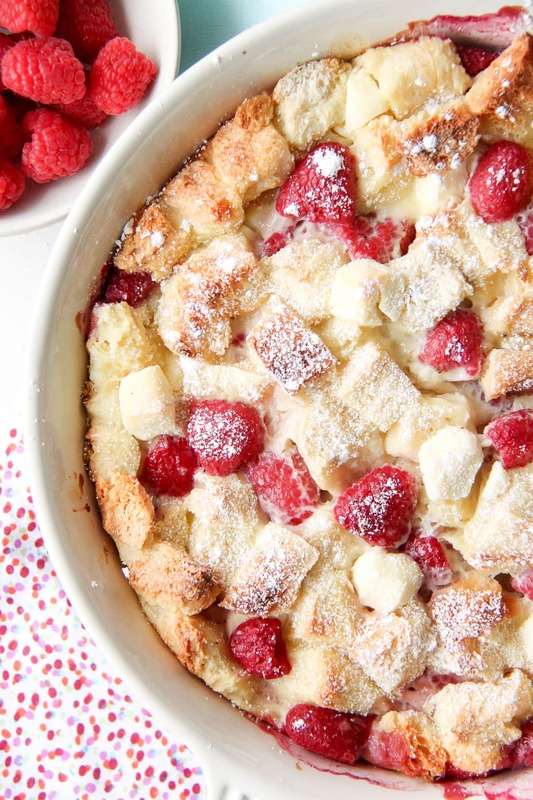 This Raspberry Baked French Toast or Bread Pudding recipe is a perfect holiday brunch idea! It’s creamy, rich and so delicious. 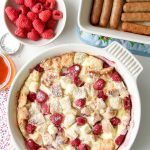 Serve with fresh fruit and sausages for a complete breakfast! I don’t know what it is about Christmas morning breakfast, but I always seem to forget to plan properly for it. I think it’s likely due to the fact that for the 4 weeks leading up to the big day, I’ve been busy planning Christmas gifts, baking, parties and Christmas dinner, so Christmas morning tends to get overlooked. And I think it’s also because I just never know what to make which is silly because I even put together this post last year full of great ideas, so you’d think I’d have some clue. Anyway, this year I vow to go into Christmas Day better prepared! 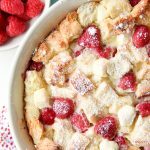 In fact I started early this year and have thus far, come up with two great brunch ideas…this Raspberry Baked French Toast, and an Apple Bread Pudding with Caramel Sauce that I’m sharing over on the Kendall-Jackson Blog today. And the beauty of this dish is that you have the option to make it the night before. 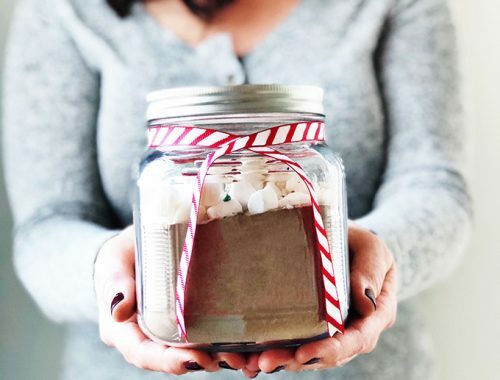 So you can have it all ready to go in the oven, then in the morning it can bake away while you open Christmas presents. Perfect. And did I mention delicious? Oh and if you’re feeding a crowd, just double the recipe and bake it in a 9 x 13 dish. In a bowl whisk together the eggs, cream, vanilla and sugar. Set aside. 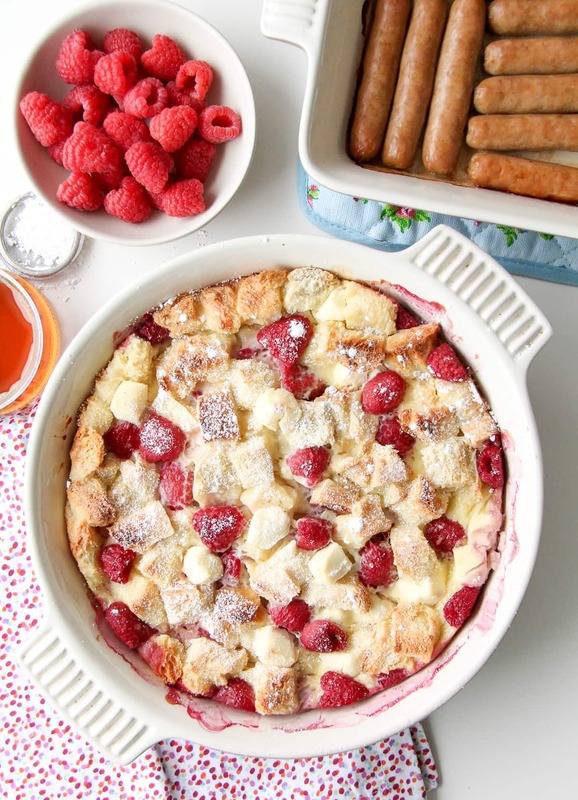 Prepare a 9×9 inch baking dish, by lightly buttering the dish. Then sprinkle in half of the Challah bread. 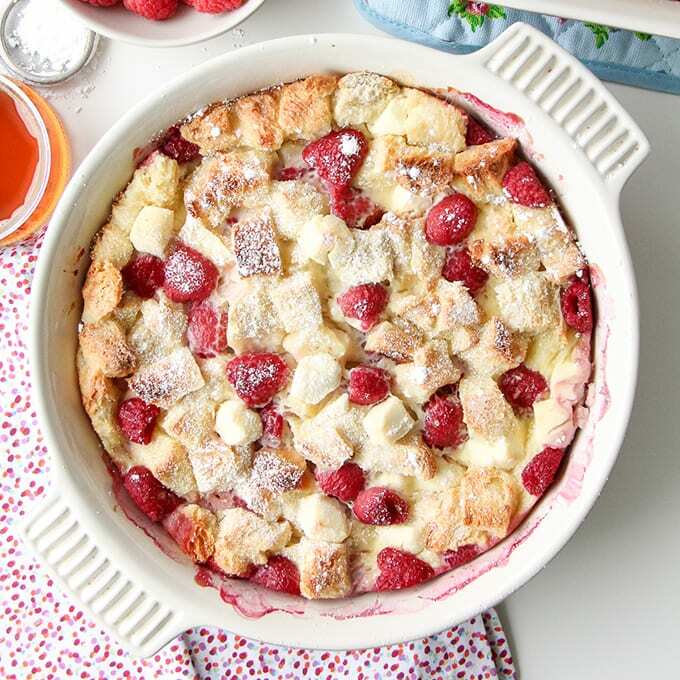 Add the chunks of cream cheese and raspberries, spreading them evenly over the bread. Sprinkle on the remaining chunks of bread. Pour the milk/egg mixture over the bread. Sprinkle on the 2 tbsp sugar. You can make this dish the night before you want to serve it. If you are baking this dish in the morning, cover it with tin foil and put it in the fridge overnight. In the morning preheat your oven to 350 degrees. Bake uncovered for 45 minutes, until golden brown and puffy. If you want to make this dish right away, after you have put it all together, let it sit for 10 minutes so the bread can absorb some of the milk/egg mix. 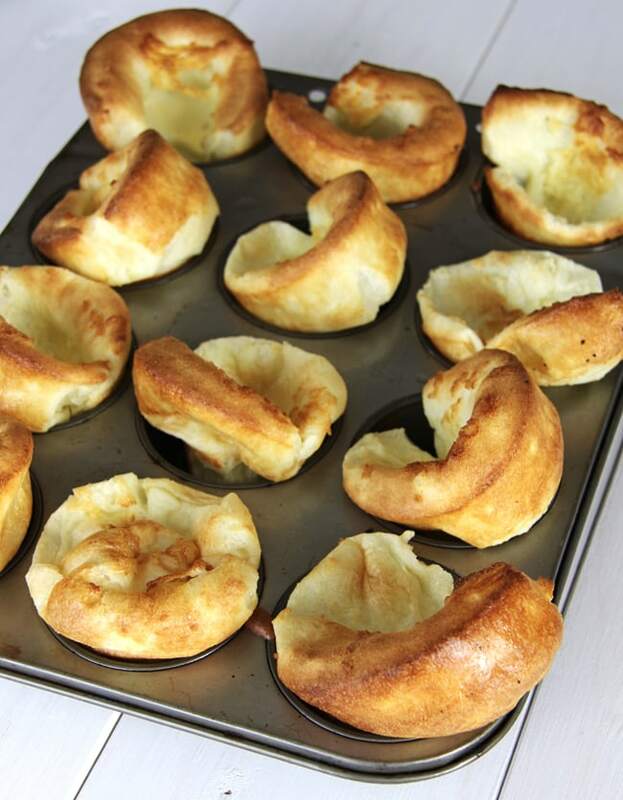 Bake for 45 minutes, until golden and puffy. 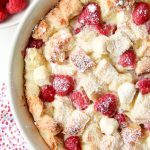 If you liked this Raspberry Baked French Toast, you might also like this Blueberry Baked French Toast recipe! 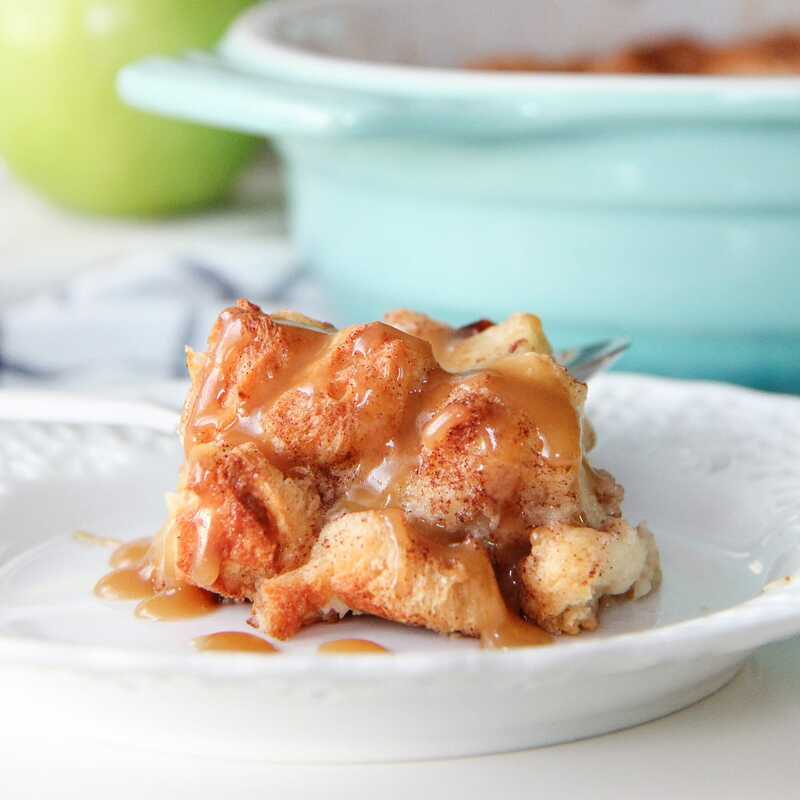 For another delicious holiday brunch idea, visit the Kendall-Jackson Blog where I’m sharing a recipe for Apple Bread Pudding with Caramel Sauce! 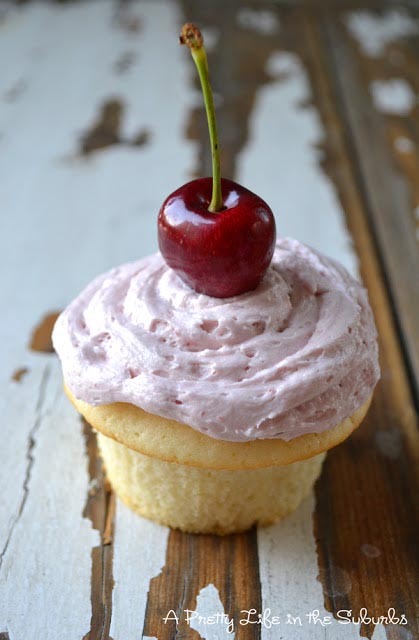 It’s a great recipe you won’t want to miss! Disclosure: I am working with Kendall-Jackson wines to bring you some delicious recipes! But as always the recipe, my voice, all content, and opinions are mine alone. 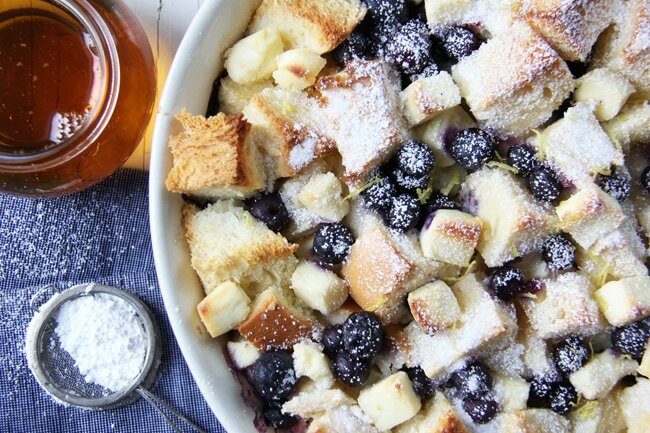 I mean who doesn’t love a great bread pudding or baked french toast recipe?! Enjoy! Incredible post Jo! So beautiful. Oh my, my mouth is watering… when you come over for coffee please bring this! xo You are simply amazing! Oh how I wish I could! Wouldn’t that be amazing?! How delicious does this look! 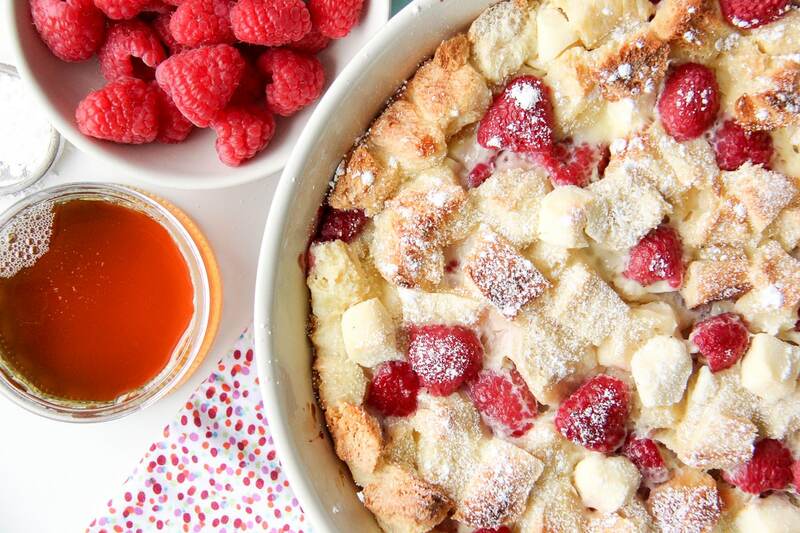 My kiddos would go crazy for the raspberries. Thank you Lindsay! This was a hit with my kids! Now I know what I’ll be making for breakfast this weekend!!! Looks so yummy!